Think you know who JKR is? Think again...Daniel Marks interviews Sean Thomas, ECD of the global branding agency. Headhunting and executive search firm, Daniel Marks, continues to help shape the design agency landscape in London, this time catching up with Sean Thomas, executive creative director at JKR (Jones Knowles Ritchie). With Campaign known for being the hub of the advertising industry, Daniel Marks thought it would shake things up by seeing how a traditional branding and packaging agency is blurring the lines within the creative industry whilst building the agency of the future. A short walk along Camden Lock and you get to the striking offices of JKR. A huge building filled with character. When you arrive at reception you get a feel for the place but nothing prepares you for the scale and use of the space once you get taken to the heart of the office. What have been the biggest changes to design and branding agencies over the past five years? When hiring, what do you look for in people? How has this changed over the years? How do client budgets affect your creative idea? What does the future of a creative agency look like? JKR has a US office, what are the main differences between the two markets? JKR’s Camden-based office is a dream workplace for any creative person. Those fortunate enough to have worked there or currently work there are given the best tools to create a culture that breeds innovation, style and passion. We were born in the UK in 1990. Today, we’re an independent creative agency with offices in London, New York, Singapore, and Shanghai. We grow businesses by creating unmistakable brand stories. We are home to ideas of all kinds. JKR’s work certainly speaks for itself, with a dream list of household names it continues to keep at the forefront of its sectors. 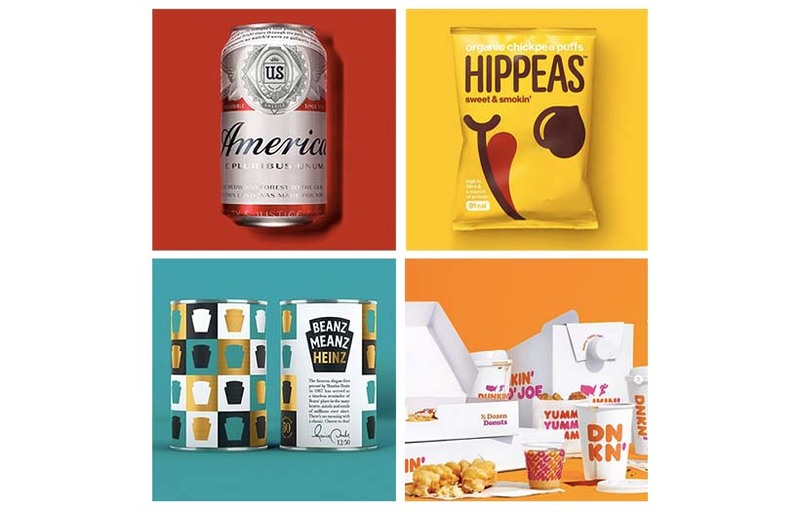 From large brands like Budweiser, Heinz and Dunkin Donuts, to start-ups and competitor brands like Hippeas and Ugly. Whatever the challenge, JKR has always risen to it and its huge pool of internal talent allows it to transfer skills to any project put in front of it. Sean Thomas, ECD at JKR, said: "One of our biggest differences as an agency is that we have a model where we work with the big global brands at a top tier level relationship so we are on the brand boards alongside brands like InBev and Mars but equally we love working with the start-ups and founders that have aspirations to one day get there, brands like Hippeas, Ugly and The Gut Stuff." Matt Nudds, managing director of Daniel Marks, added: "Many of our clients are continuously broadening their areas of specialism, taking them in new directions, whether it’s planned or reactive to client requests. "JKR particularly stands out, with some great success stories ranging from Budweiser becoming even more American, to start ups making their mark on a fiercely competitive stage. They have been on a journey of discovery, owing to various clients requesting new directions, as well as JKR itself driving the conversation and consciously stepping out of its comfort zone into new territories. "The result is a branding agency that celebrates where it’s come from, retaining its strong heritage It’s an agency that is very successfully driving brands in ever broader directions."